Sega Genesis Model 3 — by Majesco? By 1998 the Sega Saturn was fading away, leaving Sony and Nintendo to rule the market. By the end of that year the Dreamcast was out in Japan and hitting big, but what would Sega offer the North American market to tide us over? The answer to that question is absolutely nothing, but they did allow someone else to give us the Sega Genesis 3! Boldly calling itself a Sega, how cute. Even though the Sega Genesis 3 says Sega right on the console it was actually made by Majesco, under license from Sega. The console itself is very basic, inside and out, but does function as a basic Sega Genesis. When I say it functions as a basic Genesis I mean that it will play most games, but it does have a list of things that it can’t do and games it won’t play. 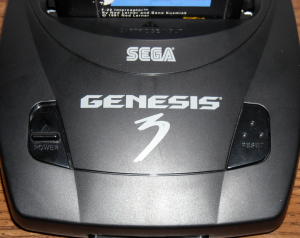 Most notably the Genesis 3 is missing any port to hook it up to a Sega CD, so that’s out. The Genesis 3 also, from what I understand, has a stripped down and rearranged motherboard, although I’m told they used the same chips, making it incompatible with the 32x add-on and even Virtua Racing. 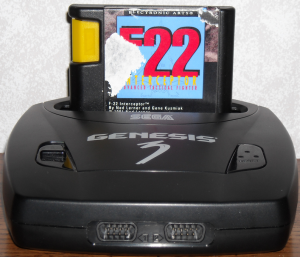 I have read, however, there may be a quite substantial mod to make the Genesis 3 compatible with the 32x and Virtua Racing, but still not the Sega CD. Not a terrible design, actually. Although it is much smaller and lighter than any of its first party brothers, the Genesis model 3 only slightly feels like a third party console. Every controller I’ve tried with the console works properly and every game I’ve tossed in has fired up without any issues, just the same as they did in my model 1 and 2, with the exception of Virtua Racing. But another cost cutting feature is the lack of a power LED, instead there is an orange sticker under the power switch. I’ve never been one who needs an LED to tell me my console is still on, which seems to be a popular, and if you ask me redundant, modification to all consoles without one. I purchased my Genesis 3 with no hookups so I had to improvise; the Genesis model 3 will work off the same AV/RF adapter(MK-1632) as the Genesis model 2, as well as the MK-2103 power supply. My only issues with this were that the power supply often slips out of the console and the system seems to get warm over extended periods of play, so far with no ill effects. Another small gripe is the death grip that it puts on the cartridges once inserted. If the system wasn’t so small it wouldn’t be an issue, but I do find having to pick up the whole console to remove a game half it’s size a bit of an annoyance. EA cartridges are almost the same size as the console. I’ve been told the Genesis 3 will play the majority of Mega Drive games, but since the only Mega Drive game I own is PAL I’m still unsure if this is true or not. During testing the system went to the initial license screen and then just went black, after a few more tries the system just offered me a totally black screen, no more licensing text. I now assume they were referring to Japanese Mega Drive games, which I would love so I could possibly expand my library without having to mod my other Genesis consoles. 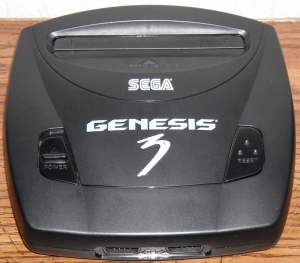 In today’s gaming market I feel that the Genesis 3 is missing too many functions (ie: 32x, Game Genie and a few games) to really compete with how cheap the official Sega Genesis consoles can be found, perhaps that was the view back in 1998 as well. From time to time I do enjoy pulling out the Genesis 3 and using it, just to give it a good jolt of power. 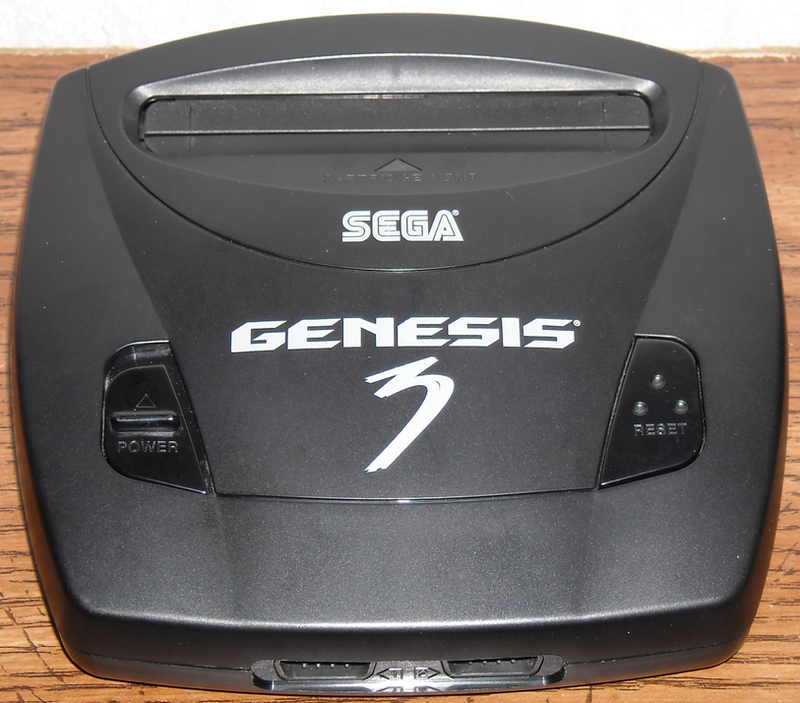 As a functional console I think the Genesis 3 is ok, but it surely won’t take precedence over my model 1 or 2, unless I need it to play Mega Drive games. Since the Genesis 3 is harder to find than the model 1 and 2 its more of a fun little conversational piece. But Majesco didn’t stop there, no, Majesco also secured the rights to make their own Sega Game Gear! Maybe I will have to sit down and give it a thorough testing and comparison next, we’ll soon find out! Thank you! They’re not as full featured as the 1 and 2 but they’re still fun to own.